Storyville is an Equity Foundation initiative. Core to our vision is improving the lives of young Australian children by enhancing their early-stage experiences of, and increasing access to, books and creative role models. We are able to make this possible through the support of our partners and of course, our incredible volunteers who donate their time and expertise to bring magic into the classroom and to various events and festivals. Storyville’s in-school program sees Australian performers visit primary schools weekly on a volunteer basis to read aloud to two classes of K/Prep-Year 2 students. Storyville harnesses the talent of performers to encourage children to read. The program prioritises schools with socio-economic disadvantage and/or schools where for a majority of students, English is a second language. These are often indicators that children are not being read to at home. 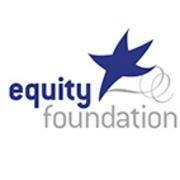 Established in 2002 with a mission to &quot;assist, educate and inpire performers, the Equity Foundation is now the regions leading provider of programs tailored to the unique needs of performers. The Equity Foundation works tirelessly to build and sustain performers; careers, recognise artistic excellence, create a diverse and inclusive industry and allow performers opportunties to give back within their local communities. Nine good reasons to join Equity can be found here. The Media, Entertainment & Arts Alliance – which includes Actors Equity – is the union and professional organisation that covers everyone in the media, entertainment, sports and arts industries. Our members include people working in television, radio, theatre and film, entertainment venues and recreation grounds, as journalists, actors, dancers, sportspeople, cartoonists and photographers, orchestral and opera performers, as well as people working in public relations, advertising, book publishing and website production. You can find out more about MEAA here.